The second 24hr Berkshires/Capital Region Theatre Project brings together playwrights, directors, designers, stage managers, technicians and actors from both the Berkshires and the Capital Region armed with the common task of mounting 5 new short works by female playwrights; all written, rehearsed and performed in 24 Hours. 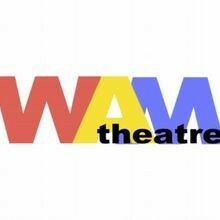 WAM Theatre and MOPCO host the event happening Saturday, April 14, 2012 at 8 p.m. in the Bernstein Theatre, Shakespeare & Company, 70 Kemble Street, Lenox, MA. After last year’s inaugural sold out 24hr Project at the Arts Center of the Capital Region in Troy, NY, WAM Theatre and MOPCO decided to join forces again to present this colossal artistic adventure for a second time. Only 150 tickets are available for this unique creative collaboration across state lines so book your $15 tickets now and be one of the lucky 150 who get to be part of this one night only event. WAM and MOPCO are grateful to Shakespeare & Company and the Actor’s Equity Association (AEA) for their support. Other sponsors for this project include Adams Community Bank. You can purchase tickets online through Brown Paper Tickets at http://www.brownpapertickets.com/event/217238or by calling 1-800-838-3006. Capital Region- Ms. Adams’ recent productions include Or, (premiered Off Broadway at WP Theater) and Dog Act (Flux Theater Ensemble in NYC). Among other honors she has received a 2012 Women of Achievement Award, a Lillian Hellman Award, a New York Foundation for the Arts Fellowship, and a New Dramatists residency. Berkshires- Ms. Newby is a playwright for the Barrington Stage Company Playwright Mentoring Program. She is also a writing instructor at MCLA, where she has worked closely with the Women’s Center on various theatrical projects. She is co-Artistic Director of Main Street Stage. Capital Region-Ms. Koppett is the Co-Director of The Mop & Bucket Theatre Company (aka Mopco) and the author of "Training to Imagine", a book on the use of improvisational theatre techniques to enhance professional performance. She was a finalist in the Playground Emerging Playwrights Festival in San Francisco. In 1995, Theatreweek Magazine named Kat one of the year's unsung heroes for her creation of the improvised musical format, "Spontaneous Broadway." Capital Region- Ms. Parrish is a playwright, filmmaker, educator, and storyteller. HEROIC GIRLZ (the stage play she co-wrote with four 11-year-old girls, and then a film which she wrote and directed) has won numerous national and international awards, and has been performed or screened at many venues, including the United Nations. For a number of years, Cindy has been a playwright-in-residence in local schools. Berkshires- Ms. Siegel’s writing credits include So Sing Already! at the New End, London and Callback for 10 Minutes in the Berkshires. She has worked as an actor at Stageworks Hudson, Shakespeare & Company, Berkshire Theatre Festival, Williamstown Theatre Festival, Birmingham Rep (UK), and London's Royal Court. She trained at The Royal Academy of Dramatic Art.